Whether you’re a veteran of countless starfighter battles, or X-Wing Second Edition marks your first time visiting the hangar bays of the Star Wars galaxy, you’ll find a world of excitement, tactics, and danger for you to explore. But you’ll also find that, sooner or later, your ships are going to be damaged! Not even the galaxy’s greatest pilots—like Han Solo, Darth Vader, and Luke Skywalker—can always fly through a heated dogfight without taking a scratch. 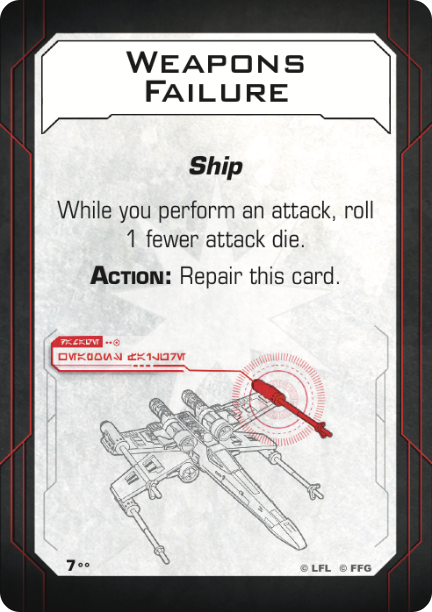 Today, we’re proud to announce the perfect accessory to take the sting out of taking damage: the T-65 X-Wing Damage Deck, a special pre-order promo item for X-Wing Second Edition! 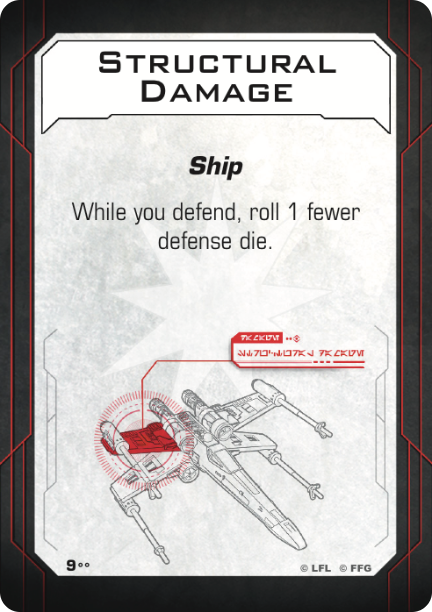 If you’re interested in receiving one of these T-65 X-Wing Damage Decks, there are two easy ways for you to get your copy while supplies last! You can pre-order the X-Wing Second Edition Core Set on our website—everyone who pre-orders at least one Core Set for X-Wing Second Edition on the Fantasy Flight Games website will receive a single T-65 X-Wing Damage Deck for free with their order! Alternatively, you can talk to your local retailer about getting a T-65 X-Wing Damage Deck with your pre-order. Retailers should reach out to their distributors for more information about the T-65 X-Wing Damage Deck. Pre-order your copy of the X-Wing Second Edition Core Set (SWZ01) at your local retailer or online through our website today, and get your copy of the T-65 X-Wing Damage Deck promo item!